Kari created another fun chalkboard printable, this time in the form of a free valentine chalkboard download. Use it as a Valentine's Day decoration or shrink it down to use as a card. 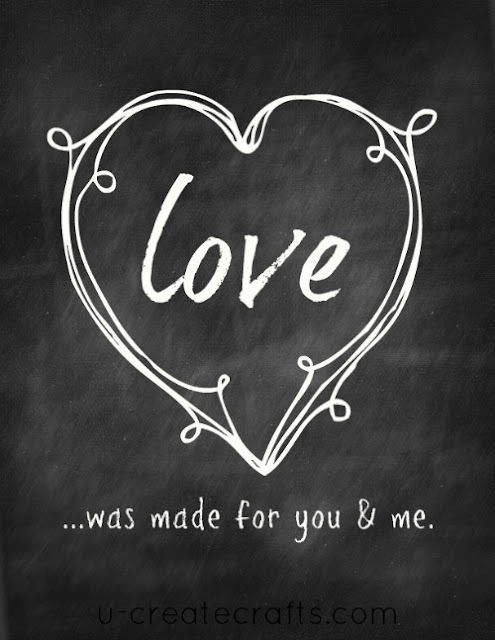 You can download the free printable chalkboard valentine over at UCreate.